Talking about Jakarta, it has become one of the cities and as the capital city of Indonesia which has lots of mix cultures people inside the city. As the histories told that Jakarta has mix cultures people because Jakarta had become one of the city which was conquered or visited by some tribes from some countries such as The Dutch, Chinese, Arabic and Portuguese. It also became one of the colonies of some local kingdoms such as Banten Sultanatate and Tarumanegara. Because of the colonization and conquered, Jakarta becomes the city which has the people with the mix cultures. Despite Jakarta has people with the mix cultures, the effect of the mix cultures also affected Jakarta for having its own culture. The city which has five different name before it has name as Jakarta according to Wikipedia.com, Jakarta has its own culture called Betawi Culture. Betawi culture appeared because of the mix culture of the people of Jakarta. Betawi culture has become one of the important cultures in Indonesia because it is the main culture of Indonesia’s capital city. 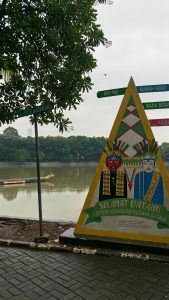 Talking about Betawi Culture, there is a place called Setu Babakan which becomes place of Betawi Culture Centre which people can visit and enjoy its tradition. The place as the tourism place Jakarta is located in Jl. Srengseng Sawah, South Jakarta. The place has also a big lake which has the function as flood-watered storage in Jakarta as Jakarta is also famous as the vulnerable place of the flood. In Setu Babakan, there are some interesting and unique places to be visited such as Rumah Joglo (a house which has stage and stairs), and Lenong Stage (a stage for a theatrical form about Betawi people). 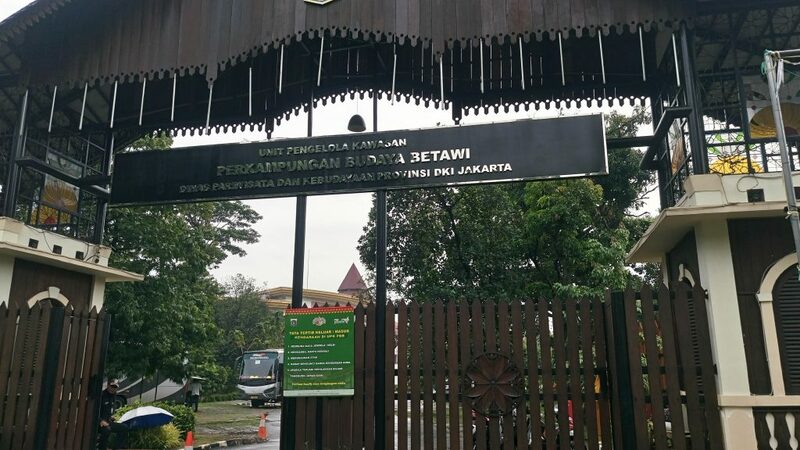 As you enter this place which has the open hours from 7 a.m to 9 p.m, you will find the welcome door which has the name Setu Babakan as the center of Betawi Culture. Before entering the museum, you must write your name on the guest book which is provided on the receptionist table. 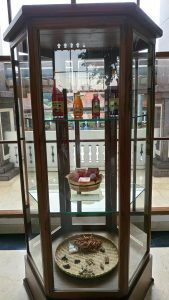 This place which becomes one of the tourism place in Jakarta also has a little museum which has the statue, the painting of the famous Betawi Icons and Artist, and the sample of the Betawi cuisines. The museum also has the custom of Betawinese in the wedding and the music instruments from Betawi culture. Inside the museum, you can also see the iconic doll called Ondel-Ondel welcome you. The museum also has some iconic statues of Jakarta. So, you will see the culture of Betawinese in this museum from its iconic cuisines, traditional clothes, and famous artists and icons. 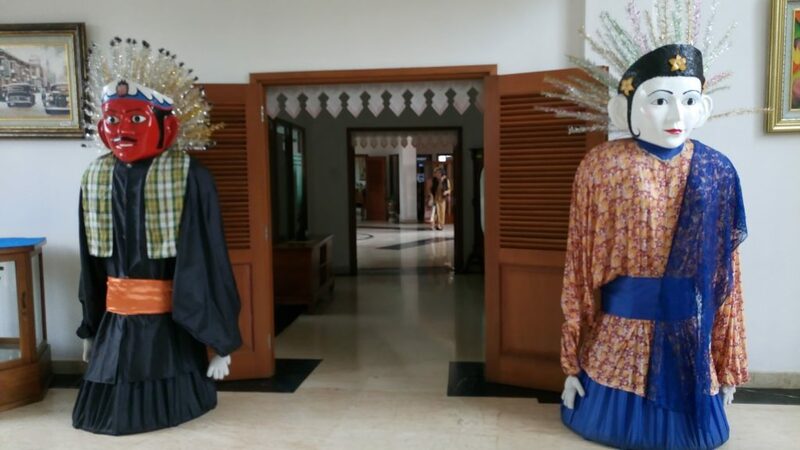 When you go out from the museum, you will directly see some custom houses of Betawi with its iconic doll of Ondel-Ondel. There are five custom houses of Betawi outside the museum. This outdoor area also has the place or the stage for playing Lenong and other shows related to Betawi culture. 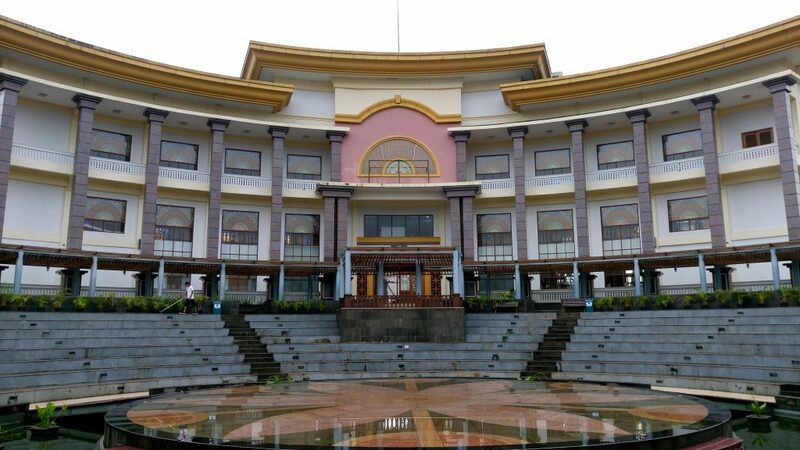 It has the park with some gazeboes and lots of trees which makes this Betawi culture center feels clement. Other interesting places from the outdoor area is the big lake. Setu Babakan is free for everyone. Yes, the ticket price is free. You don’t have to pay for anything but you can get almost everything about Jakarta here. The ticket price is free but if you drive your own car/rent car, and ride a motorcycle, you have to pay for the parking fee for about Rp 2.000-10.000,-. You can also buy some Betawi cuisines near the big lake such as Kerak Telor (a food contains egg, sticky rice and fried coconut and onion), EsBenderang ( a colorful cake combine with coconut milk and liquid brown sugar with ice), and Bir Pletok ( a red water contain some herbs). The food prices from Rp 5000,- up to Rp 25000,-. 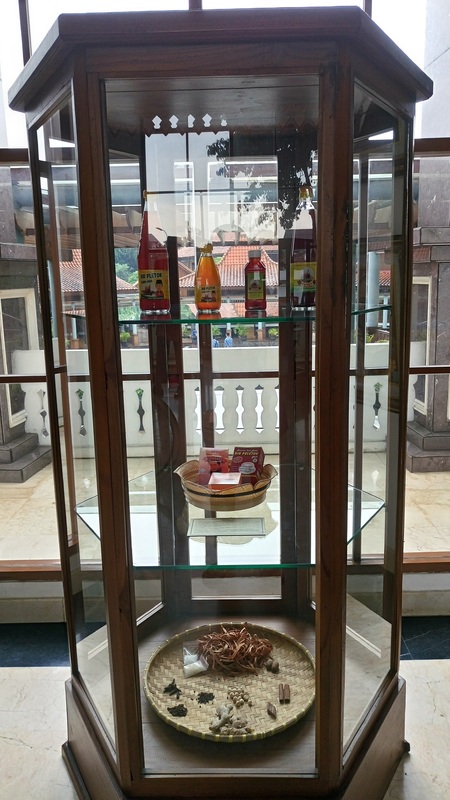 The museum provides the traditional food and souvenirs about Jakarta and Betawi. If you plan to go to Setu Babakan shortly, there are some transportation choices. First, you can rent or order the transportation from the online application. Jakarta is the city where the use of online transportation are valuable enough. You can choose whether to order the car or the motorcycle for the transportation. You can also rent a car from the nearest hotel or hostel you stay, or usually the hotel or the hostel provides the transportation for the tourist to go to some recreation places. The price for renting car is about Rp 250.000,- up to Rp 500.000,- include or exclude the driver and the fuel. For the luxury transportation, it can be up to Rp 1.000.000,- up to Rp 3.000.000,- depending on the facilities inside the transportation. So let’s try this tourism place of Jakarta.